Transform this chair into a lounger or an additional sleep space. Adjustable back, pull-out chair base. 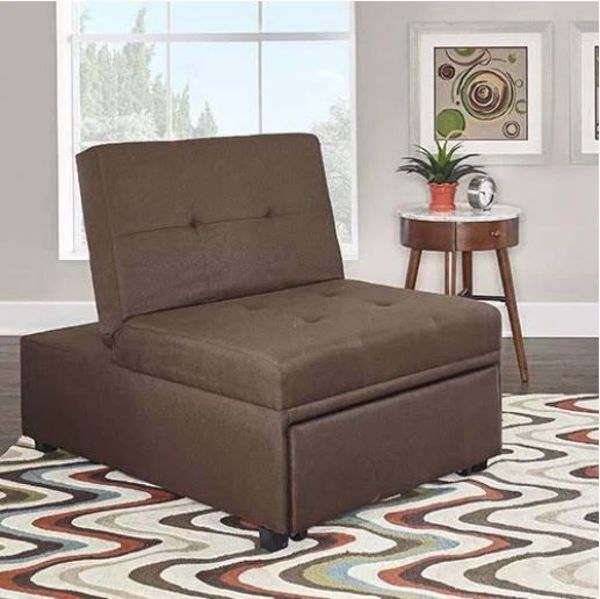 Enjoy the style and versatility of this handsome chair in a pleasing brown fabric. Includes roll pillow for added comfort.